One pot. 3 ingredients. 30 minutes. What more could you ask for in a family dinner recipe that pleases every time. 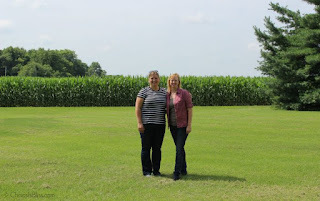 Recently I was lucky enough to have Ann-Marie from Chaos is Bliss visit our family farm for a one-on-one tour thanks to Indiana's Family of Farmers. 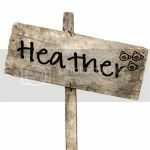 Ann-Marie and I talked about all kinds of things from the similarities in our families, how we raise our pigs, and my favorite pork recipes. 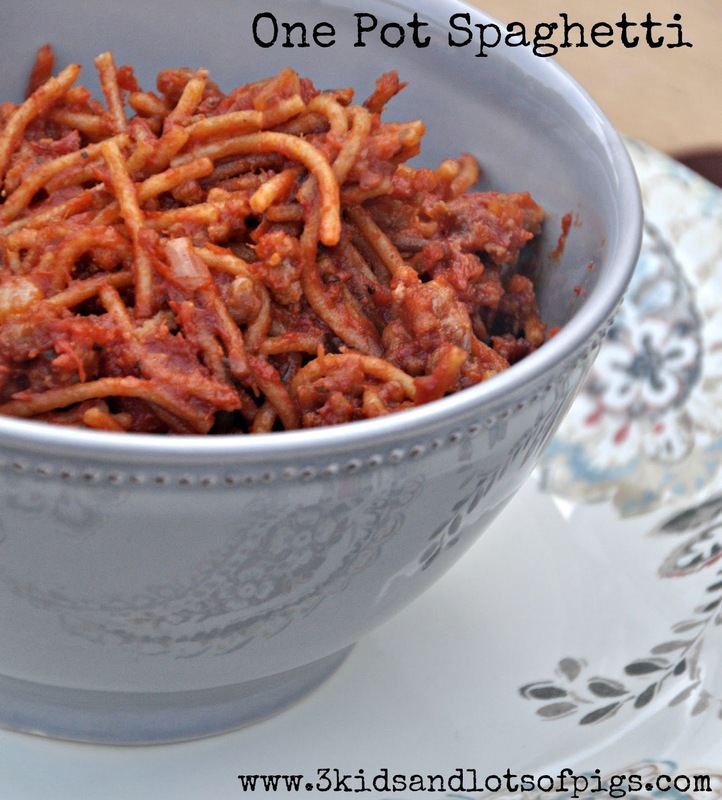 Although my all time favorite pork recipe is a good ole pork burger, I must admit I'm quite fond of this one pot spaghetti with pork Italian sausage and it is definitely becoming a go-to recipe at this pigpen. I must give props to Ann-Marie's excellent self-timer abilities for this photo. Now that being said, let's get back to this one pot spaghetti. I'm not lying when I say this is so easy as it truly only uses one pot (OK. I may have used 2 as I used my micro cooker to brown the italian sausage to speed up the process.) and 3 ingredients. In stock pot over medium heat, brown sausage for 5 to 7 minutes, stirring often. Drain; stir in broken spaghetti. Cook for 5 minutes, stirring often. Add spaghetti sauce and stir until well blended. Heat to boiling. Reduce heat to low; cover and simmer about 20 minutes, until spaghetti is tender.